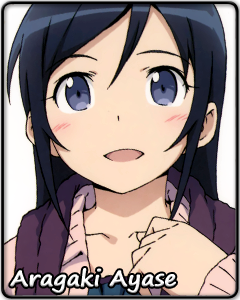 Aragaki Ayase is the ideal of a girl her age: bright, beautiful, polite. No wonder a modeling company sought her out to have her work for them. She is also best friends with other equally perfect ladies her age. This pristine image is not just something for others to see. Ayase treasures every aspect of her current life and spares no effort to protect it. She wants everything to be genuinely impeccable, a picture of perfection. The thing is, not everyone understands how intent she is about maintaining her standards and how far she is willing to go to protect her wonderful life. She requires absolute honesty, for example, and being lied to is one of her berserker buttons. Trespassing against her code means getting instantaneously ejected form her circle of friends at best. The worst case scenario is not pretty. But if you want to be friends with Ayase, all you need to do is behave, right?